Richard Lawless is self-publishing a book with Outskirts Press, and he wants your help deciding his upcoming book cover. 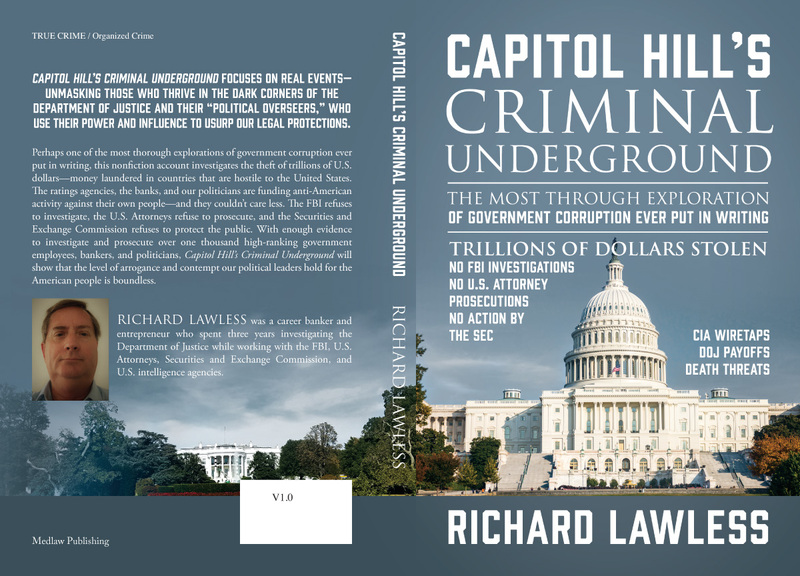 Capitol Hill’s Criminal Underground focuses on real events—unmasking those who thrive in the dark corners of the Department of Justice and their “political overseers,” who use their power and influence to usurp our legal protections. Perhaps one of the most thorough explorations of government corruption ever put in writing, this nonfiction account investigates the theft of trillions of U.S. dollars—money laundered in countries that are hostile to the United States. The ratings agencies, the banks, and our politicians are funding anti-American activity against their own people—and they couldn’t care less. The FBI refuses to investigate, the U.S. Attorneys refuse to prosecute, and the Securities and Exchange Commission refuses to protect the public. With enough evidence to investigate and prosecute over one thousand high-ranking government employees, bankers, and politicians, Capitol Hill’s Criminal Underground will show that the level of arrogance and contempt our political leaders hold for the American people is boundless. 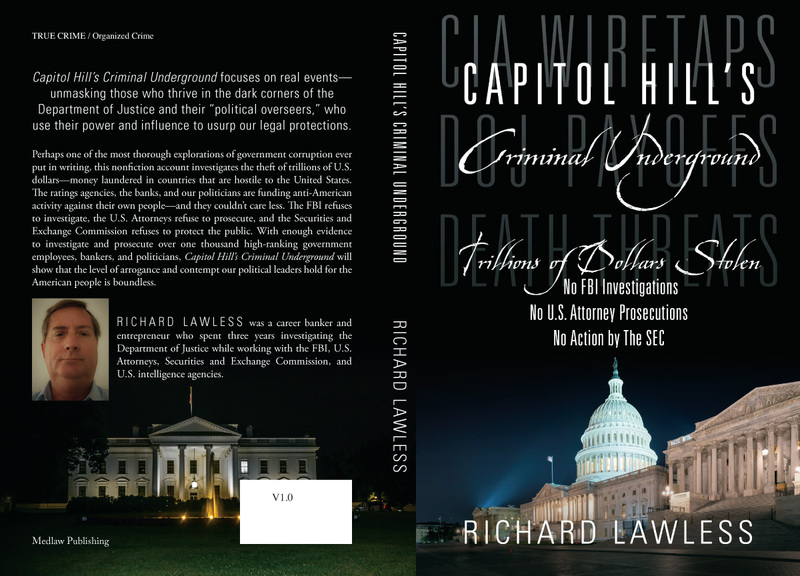 Richard Lawless was a career banker and entrepreneur who spent three years investigating the Department of Justice while working with the FBI, U.S. Attorneys, Securities and Exchange Commission, and U.S. intelligence agencies. Please take a look at the three possible covers below and then vote on the choice you recommend.